SHHHH!!! DON'T TELL NATE ABOUT PODCAST 108!! 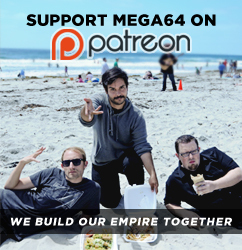 Hey guys, if you have ever wanted to know what it's like to go on a long car ride with mega64, this podcast is for you! We spent the car ride talking about Comic Con, our appearance on the 91x morning show, and more Comic Con! click here for the audio! That's all for now! Come back, and soon!